Now that I’m starting to run more and need to keep track of my progress, I could no longer resist the urge to buy another gadget. 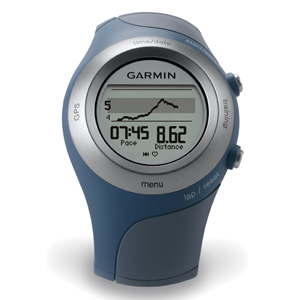 I ordered the brand new Garmin Forerunner 405CX. I’m just starting to figure out the huge range of features that it has. One that’s easy is the auto-sync with your computer using the included USB dongle and software. Pages like this are auto-generated. sweet! Cool toy. Did you manage to use it on 7k run?